Get out of the city and explore ancient rock cave temples on this full-day tour. 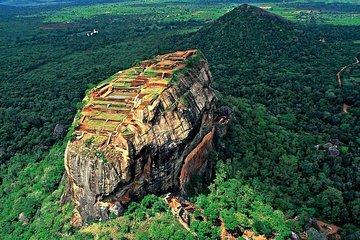 Depart from your Colombo hotel and make your way to the Sigiriya and its cave temple. Accompanied by a guide, learn about the history. Continue to Pidurangala Rock and pump up your adrenaline with a climb to the top of the rock. Stop by an elephant orphanage and enjoy afternoon tea.